Dortmund - Four goals in two games from Robert Lewandowski - there is no wonder champions Borussia Dortmund have rediscovered their Bundesliga-shaking swagger. 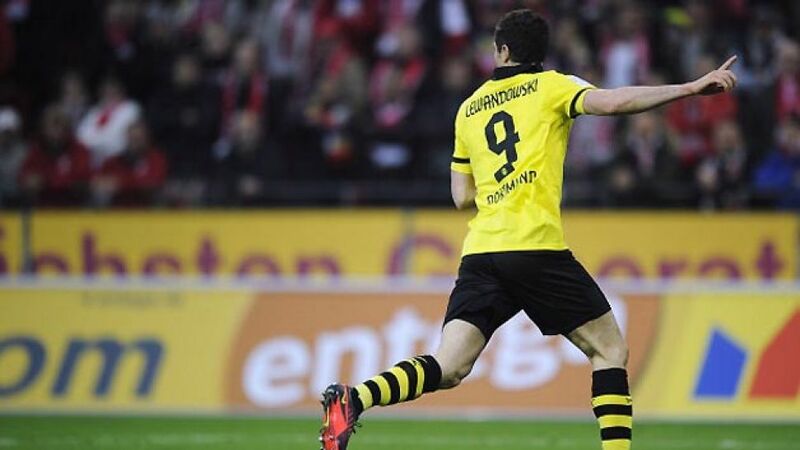 The Polish striker took his domestic tally to nine at the weekend and now sits atop the leading scorers' chart, with Dortmund moving up to second in the standings following a workmanlike 2-1 win at 1.FSV Mainz 05. "It was a hard-fought contest, but a great game," said Polish international Lewandowski. "We're pleased. It was an important game because we needed the three points." It was a win that ensured Dortmund's highest league position of the season so far, as Jürgen Klopp's men displaced Schalke 04 and Eintracht Frankfurt as FC Bayern Munich's nearest challengers after 13 games. "We're still a long way behind Bayern," continued the Bundesliga's leading marksman. "As ever, we're concentrating on the next game - against Düsseldorf on Tuesday." After Fortuna, who have nothing to fear after picking up their first home win of the season against Hamburger SV on Friday, Dortmund travel to the Allianz Arena next weekend looking to reduce the arrears on the Bundesliga pace-setters before the winter break. Klopp's men are no strangers to playing catch-up, having last season overturned an eight-point deficit on Bayern before going on to register a record-breaking points haul of 81 and nicking a second-successive Bundesliga crown. Dortmund won both fixtures against Bayern last term, but will need to raise the bar even higher if they are to add the high-flying league leaders to their impressive list of big-name conquests (Real Madrid et al) on Matchday 16. "We controlled the game [against Mainz]," said Lewandowski, whose team were given a thorough examination on Klopp's former stomping ground, before eventually getting to grips with one of the league's most organised and disciplined outfits, having three days earlier put Ajax to the sword in the UEFA Champions League. "It doesn't matter who it's against, the next game after a Champions League match is always tough," affirmed Dortmund's star striker. So that’s nine goals for Dortmund's no.9, nine different scorers in the league so far this season, a nine-point gap to overhaul and a nine-game unbeaten run in all competitions following the Ruhr district derby defeat to Schalke: ominous signs for Bayern and Co. as Dortmund prepare to step things up a gear in pursuit of a ninth league title.